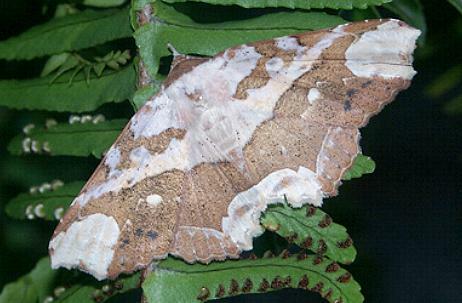 The adult moth of this species has wings that are pale brown, with irregular darker brown patches. The wing margins are scalloped, and there is a cusp halfway along each forewing margin. The wingspan is about 4 cms. Volume 11 (1898), pp. 458-459, No. 2739c. LeapFrogOz, Kuranda, 2015, p. 156. A Guide to Australian Moths, CSIRO Publishing, 2007, p. 195.